The definition of art history reflects the dichotomy within art; i.e., art as history and in anthropological context; and art as a study in forms. The study of visual art can be approached through the broad categories of contextualism and formalism. The approach whereby a work of art is examined in the context of its time; in a manner which respects its creator's motivations and imperatives; with consideration of the desires and prejudices of its patrons and sponsors; with a comparative analysis of themes and approaches of the creator's colleagues and teachers; and consideration of religious iconography and temporal symbolism. In short, this approach examines the work of art in the context of the world within which it was created. The approach whereby the artwork is examined through an analysis of its form; that is, the creator's use of line, shape, color, texture, and composition. This approach examines how the artist uses a two-dimensional picture plane (or the three dimensions of sculptural or architectural space) to create his or her art. A formal analysis can further describe art as representational or non-representational; which answers the question, is the artist imitating an object or image found in nature? If so, it is representational. The closer the art hews to perfect imitation, the more the art is realistic. If the art is less imitation and more symbolism, or in an important way strives to capture nature's essence, rather than imitate it directly, the art is abstract. Impressionism is an example of a representational style that was not directly imitative, but strove to create an "impression" of nature. Of course, realism and abstraction exist on a continuum. If the work is not representational of nature, but an expression of the artist's feelings, longings and aspirations, or his or her search for ideals of beauty and form, the work is non-representational or a work of expressionism. The field of Art History is traditionally divided into specializations or concentrations based on eras and regions, with further sub-division based on media. Thus, someone might specialize in "19th century German architecture" or in "16th century Tuscan sculpture." Sub-fields are often included under a specialization. For example, the Ancient Near East, Greece, Rome, and Egypt are all typically considered special concentrations of Ancient art. In some cases, these specializations may be closely allied (as Greece and Rome, for example), while in others such alliances are far less natural (Indian art versus Korean art, for example). While personal reminiscences of art and artists have long been written and read (see Lorenzo Ghiberti Commentarii, for the best early example), it was Giorgio Vasari, the Tuscan painter, sculptor and author of the Lives of the Painters, who wrote the first true history of art. He emphasized art's progression and development, which was a milestone in this field. His was a personal and a historical account, featuring biographies of individual Italian artists, many of whom were his contemporaries and personal acquaintances. The most renowned of these was Michelangelo, and Vasari's account is enlightening, though biased in places. Vasari's ideas about art held sway until the 18th century, when criticism was leveled at his biographical account of history. Scholars such as Johann Joachim Winckelmann (1717–1768), criticised Vasari's "cult" of artistic personality, and they argued that the real emphasis in the study of art should be the views of the learned beholder and not the unique viewpoint of the charismatic artist. 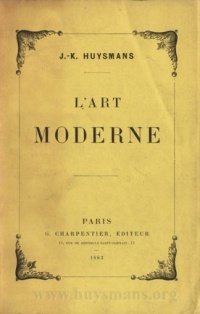 Winckelmann's writings thus were the beginnings of art criticism. Winckelmann critiqued the artistic excesses of Baroque and Rococo forms, and was instrumental in reforming taste in favor of the more sober Neoclassicism. Jacob Burckhardt (1818–1897), one of the founders of art history, noted that Winckelmann was 'the first to distinguish between the periods of ancient art and to link the history of style with world history'. From Winckelmann until the mid-20th century, the field of art history was dominated by German-speaking academics. Winckelmann's work thus marked the entry of art history into the high-philosophical discourse of German culture. Our 21st century understanding of the symbolic content of art comes from a group of scholars who gathered in Hamburg in the 1920s. The most prominent among them were Erwin Panofsky, Aby Warburg, and Fritz Saxl. Together they developed much of the vocabulary that continues to be used in the 21st century by art historians. "Iconography"--with roots meaning "symbols from writing" refers to subject matter of art derived from written sources—especially scripture and mythology. "Iconology" is a broader term that referred to all symbolism, whether derived from a specific text or not. Today art historians sometimes use these terms interchangeably. Though the use of posthumous material to perform psychoanalysis is controversial among art historians, especially since the sexual mores of Leonardo's time and Freud's are different, it is often attempted. An unsuspecting turn for the history of art criticism came in 1914 when Sigmund Freud published a psychoanalytical interpretation of Michelangelo’s Moses titled "Der Moses des Michelangelo" as one of the first psychology based analyses on a work of art. Freud first published this work shortly after reading Vasari’s Lives. For unknown purposes, Freud originally untitled his work when it was published in a psychological journal. "Leonardo da Vinci, A Memory of His Childhood"
Linda Nochlin's essay "Why have there been no great women artists?" helped to ignite feminist art history during the 1970s and remains one of the most widely read essays about female artists. In it she applies a feminist critical framework to show systematic exclusion of women from art training. Griselda Pollock is another prominent feminist art historian, whose use of psychoanalytic theory is described above. While feminist art history can focus on any time period and location, much attention has been given to the Modern era. Some of this scholarship centers on the feminist art movement, which referred specifically to the experience of women. Semiotic art history seeks to uncover the codified meaning or meanings in an aesthetic object by examining its connectedness to a collective consciousness. Art historians do not commonly commit to any one particular brand of semiotics but rather construct an amalgamated version which they incorporate into their collection of analytical tools. For example, Meyer Shapiro borrowed Saussure’s differential meaning in effort to read signs as they exist within a system. According to Schapiro, to understand the meaning of frontality in a specific pictorial context, it must be differentiated from, or viewed in relation to, alternate possibilities such as a profile, or a three-quarter view. Schapiro combined this method with the work of Charles Sanders Peirce whose object, sign, and interpretant provided a structure for his approach. Alex Potts demonstrates the application of Peirce’s concepts to visual representation by examining them in relation to the Mona Lisa. 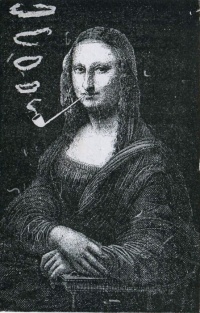 By seeing the Mona Lisa, for example, as something beyond its materiality is to identify it as a sign. 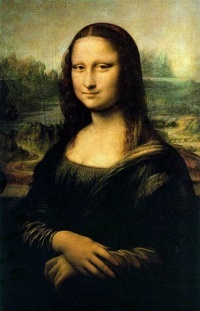 It is then recognized as referring to an object outside of itself, a woman, or Mona Lisa. The image does not seem to denote religious meaning and can therefore be assumed to be a portrait. This interpretation leads to a chain of possible interpretations: who was the sitter in relation to Leonardo? What significance did she have to him? Or, maybe she is an icon for all of womankind. This chain of interpretation, or “unlimited semiosis” is endless; the art historian’s job is to place boundaries on possible interpretations as much as it is to reveal new possibilities. Unless indicated otherwise, the text in this article is either based on Wikipedia article "Art history" or another language Wikipedia page thereof used under the terms of the GNU Free Documentation License; or on original research by Jahsonic and friends. See Art and Popular Culture's copyright notice. This page was last modified 14:07, 9 April 2018.